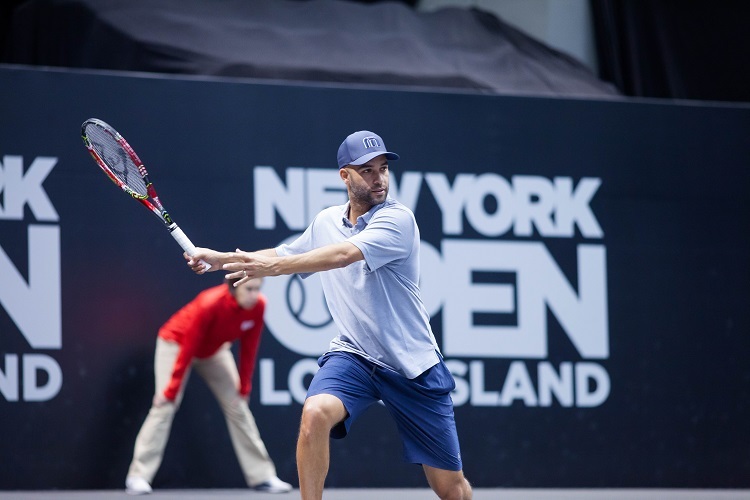 The first competitive action of the inaugural New York Open took place on Sunday at NYCB LIVE home of The Nassau Veterans Memorial Coliseum, highlighting by the evening’s Opening Night Premiere which brought star power to the tournament’s debut. 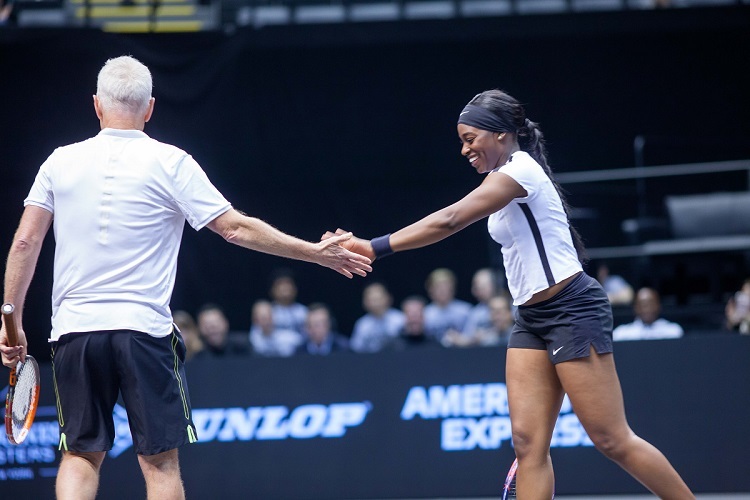 The qualifying draw of tournament kicked off during the day and gave way to the star-studded exhibition with John McEnroe, James Blake, Sloane Stephens and Eugenie Bouchard at night. 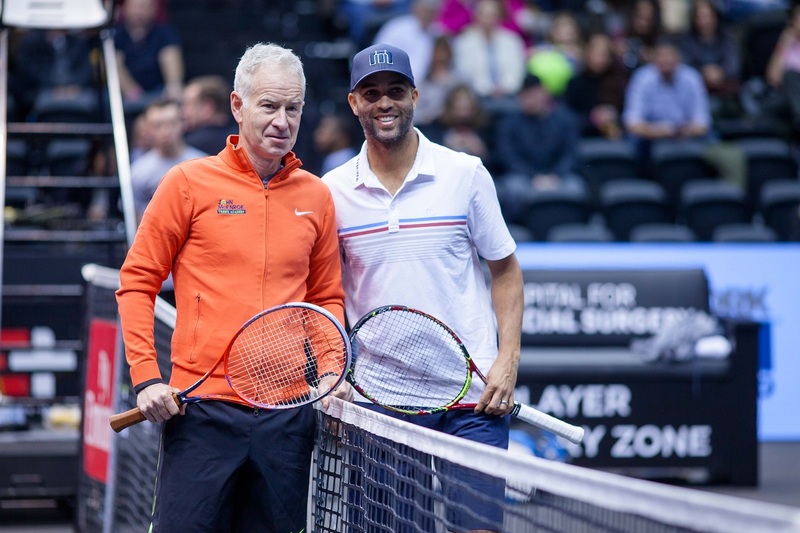 Blake took on McEnroe in a battle of native New Yorkers in the first match. Playing an eight-game pro set, it was Blake who jumped out to the early lead which ushered in some of John McEnroe’s famous antics as he was displeased with his performance early. McEnroe would break back and get the match even, but Blake broke while leading 7-6 to close out the contest. Bouchard would battle Stephens in what turned into a highly-competitive match between the two stars. Stephens, the recent U.S. Open champion, raced out to a 3-0 lead and pushed it to 4-1. Long rallies were the theme of this match, and Bouchard did well to fight back to even things at 4-4. In the end, Stephens used her big serves to come out on top. The four players got together to play mixed doubles to close out what was a fun and exciting premiere event for the New York Open.